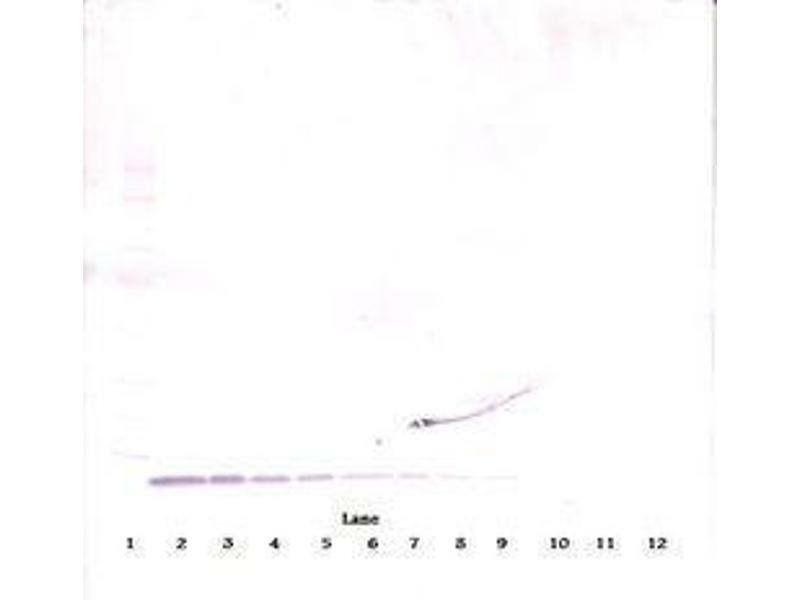 免疫原 E.coli derived recombinant Human EGF. 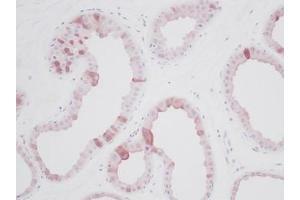 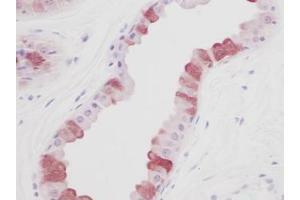 Usage: Immunohistochemistry: This antibody stained formalin-fixed, paraffin-embedded sections of normal human skin. 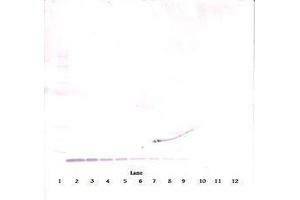 The recommended concentration is 1 μg/mL-0.25 μg/mL overnight at 4 °C. 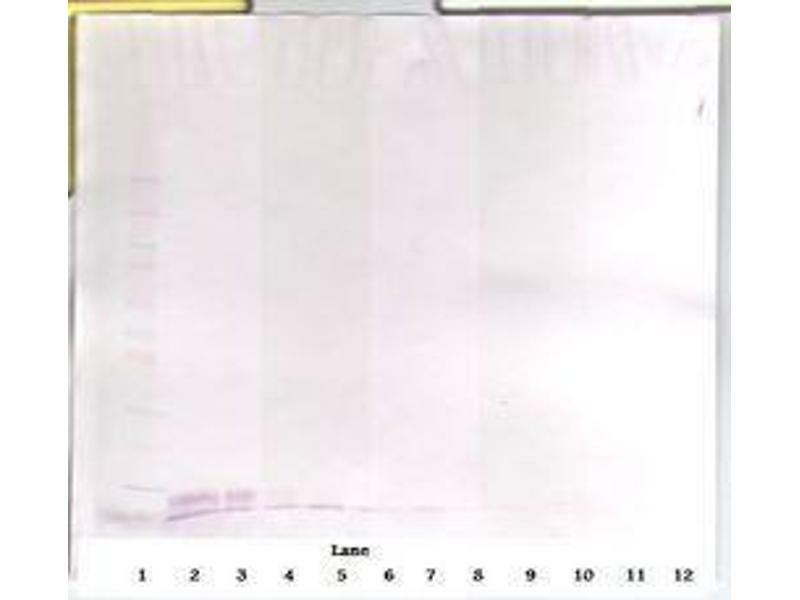 An HRP-labeled polymer detection system was used with a non-alcohol soluble AEC chromogen and a proteinase K antigen retrieval. 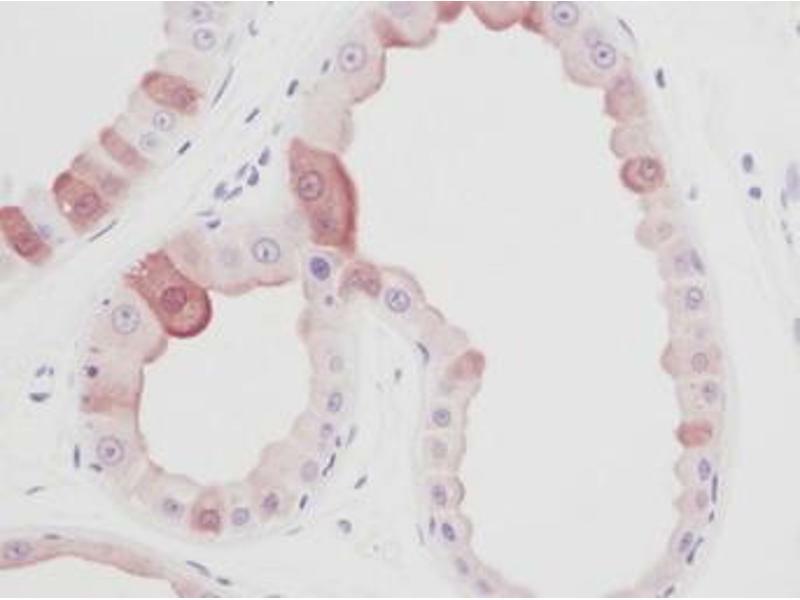 Optimal concentrations and conditions may vary. 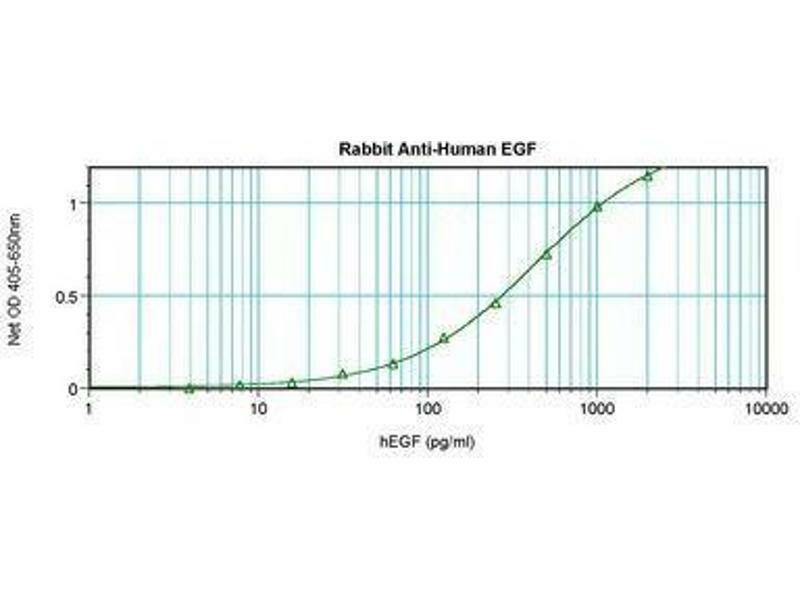 Neutralization: To yield one-half maximal inhibition [ND] of the biological activity of hEGF (25 pg/mL), a concentration of < 0.1 μg/mL of this antibody is required. 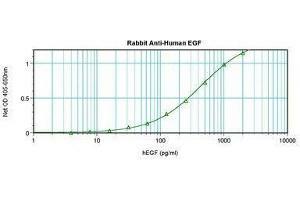 ELISA: To detect hEGF by sandwich ELISA (using 100 μL/well antibody solution) a concentration of 0.5-2 μg/mL of this antibody is required. 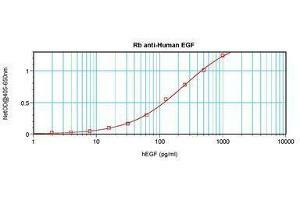 This antigen affinity purified antibody, in conjunction with Biotinylated Anti-Human EGF (LS-C104809) as a detection antibody, allows the detection of at least 0.2-0.4 ng/well of recombinant hEGF. 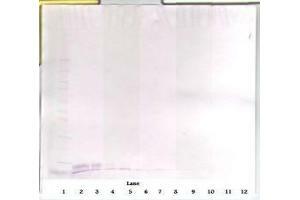 Western Blot: To detect hEGF by Western Blot analysis this antibody can be used at a concentration of 0.1-0.2 μg/mL. 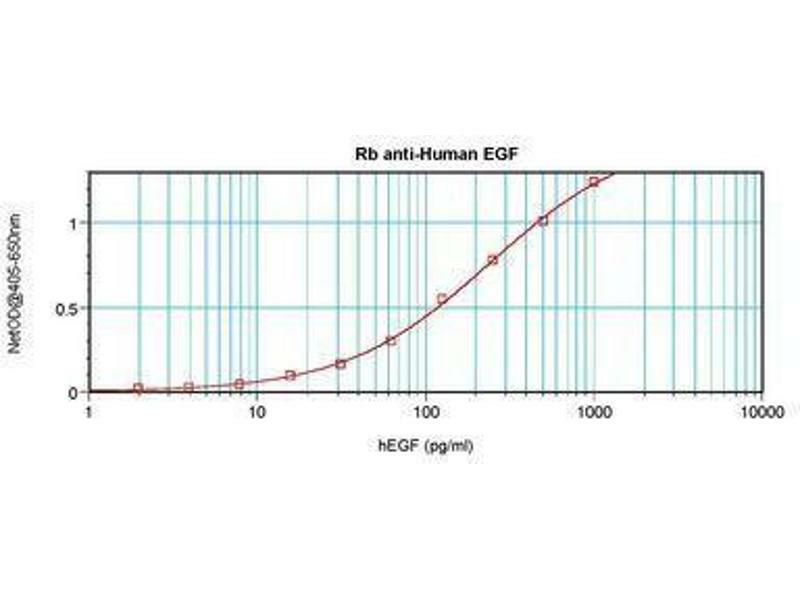 Used in conjunction with compatible secondary reagents the detection limit for recombinant hEGF is 1.5-3 ng/lane, under either reducing or non-reducing conditions. 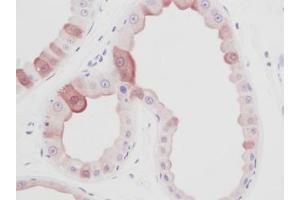 Reconstituted for up to 2 weeks at 2-8°C. 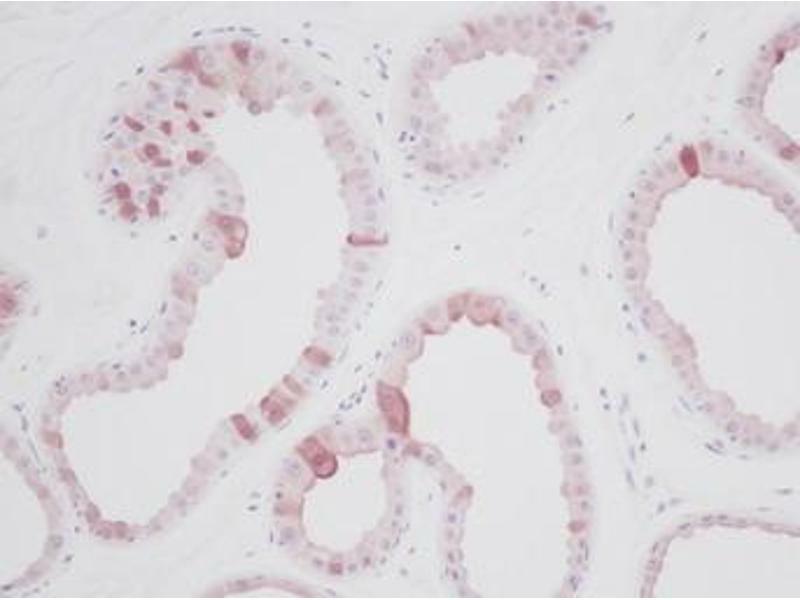 Aliquot and freeze at -20°C for long term storage. 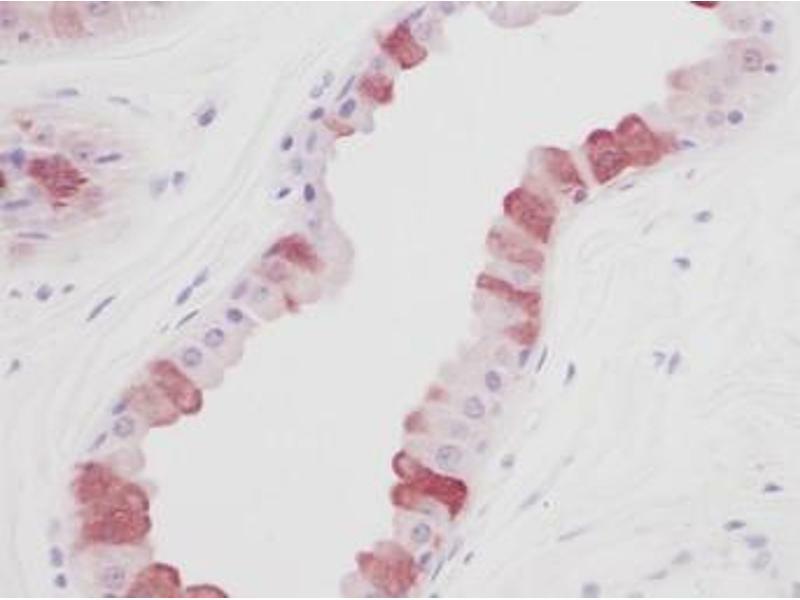 Avoid freeze/thaw cycles.